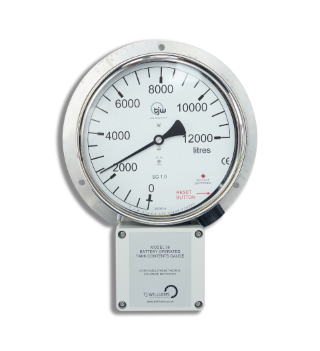 This gauge is mostly used to measure; Fuel oil, Diesel, Kerosene, Paraffin, Lube oil, and Water. Model 28PPU: 180 x 180mm ABS case with polycarbonate window. 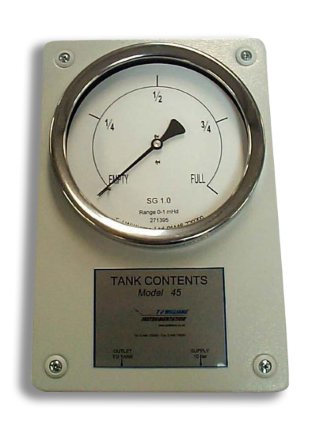 This gauge can be used to measure any liquid in a tank. This gauge works on a hydrostatic principle. 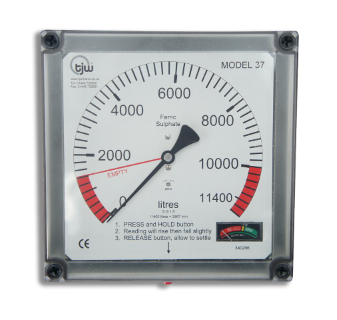 This gauge operates with an electric pump using an electronic timer and long life Thionyl Chloride Lithium batteries. 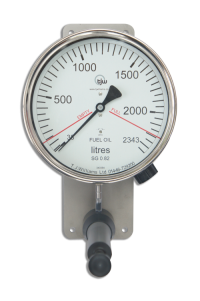 This gauge can be used to measure; water, fuel oil, creosote, paraffin, lubricants and tanks containing more aggressive chemicals with consideration being given to protection from chemical contact of the internal parts of the gauge. It has many applications, in Dairies, Gas Works, Breweries & chemical works etc. This gauge works on a hydrostatic principle. The electric pump charges the system with air under pressure. The liquid is displaced from the balance chamber at the bottom of the tank, while excess air escapes via the tanks vent. The resulting pressure in the balance chamber is indicated and is proportionate to the head of liquid in the tank. 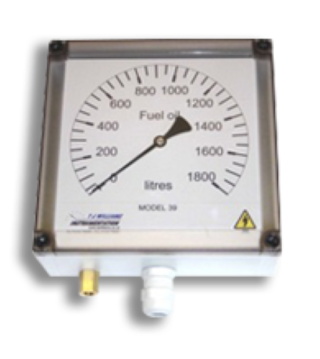 This gauge is a self contained unit which provides totally independent level indication that can be used over very long distances. When used with the correct balance chamber, will give a highly reliable tank level reading. Model 40 has an internal pump, a timer circuit and is 230VAC mains powered, Option of 24VDC. 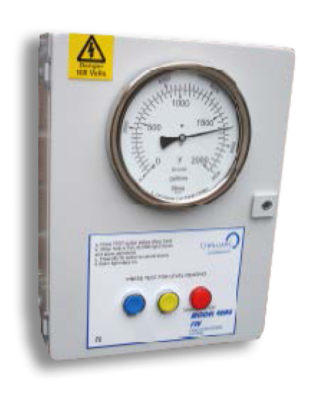 This gauge is a self contained unit which provides totally independent level indication that can be used over very long distances. 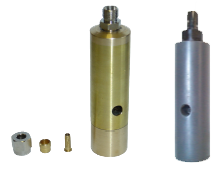 When used with the correct balance chamber (see below), will give a highly reliable tank level reading.The gauge can be mounted at any position, and may be disconnected at any time without upsetting the calibration. 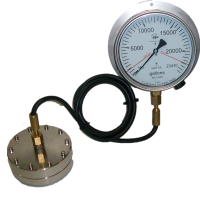 This indicator is designed to measure the volume in a freely vented tank of any shape or size with the addition of a pressure transmitter giving an output of 4-20mA. This instrument has 2 adjustable level alarms with volt free contacts supplied as standard. 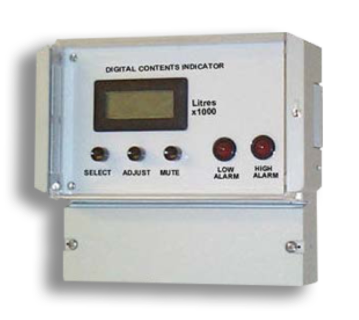 This indicator is mostly used to measure; Fuel oil, Diesel, Paraffin, Lube oil, Printing inks, Kerosene and Water. 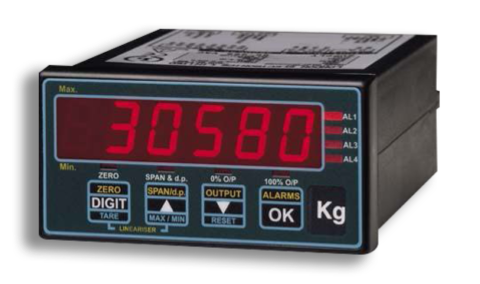 This indicator is designed to measure the volume in a freelyvented tank of any shape or size with the addition of a pressure transmitter giving an output of 4-20mA.